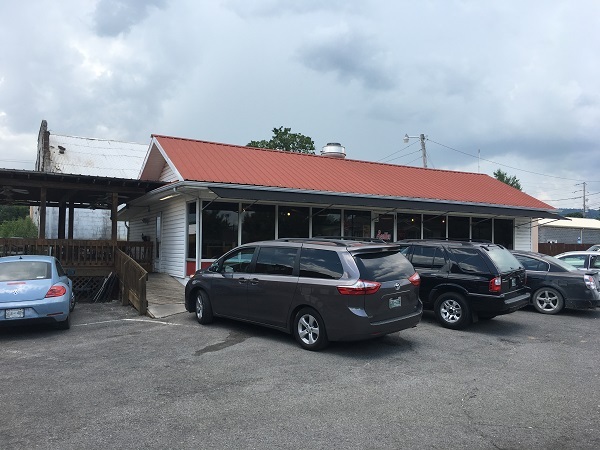 Scottie’s Restaurant, Pikeville TN – Marie, Let's Eat! We thought we’d visited all of the survivors of this old chain of diners. We were mistaken! 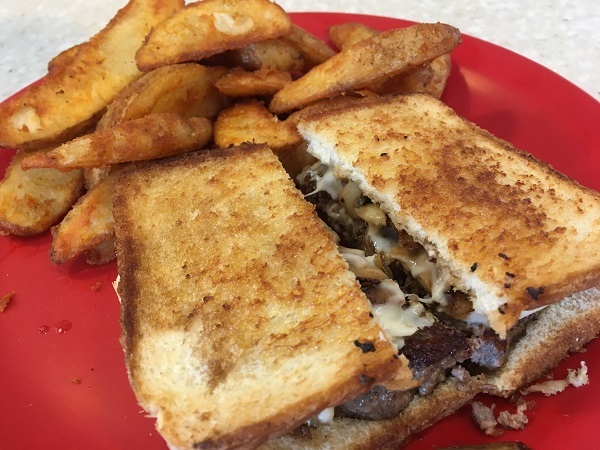 Over the last few years, we’ve visited three different independently-owned diners in east Tennessee called Scotty’s or Scottie’s. These were once part of a small chain with a dozen or more locations here and in southern Kentucky, but have been on their own since the 1970s. We visited the stores in Powell, Caryville, and Etowah in 2016, and thought that we were done. So I was very pleasantly surprised to find a fourth, and even got wind of a fifth, kind of. This past weekend, we drove up to Fall Creek Falls State Park to play in a waterfall for a few hours, and would need something to eat once we were ready to move on. This park is unbelievably awesome, and it’s also unbelievably isolated. As I’ve mentioned previously, rural Tennessee isn’t quite like rural Georgia. There are huge swathes of land on the Cumberland Plateau where nobody lives and there are no barbecue restaurants to be found. The best bet for a late lunch near the park is in Pikeville, about thirty minutes away. And looking for the best option to eat in town turned up a couple of promising places, including another Scottie’s! 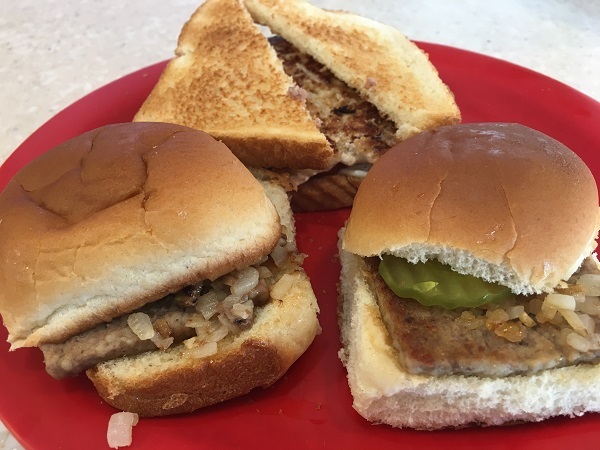 Like the others, this Scottie’s is mainly a breakfast and lunch diner, with small hamburgers – sliders – the specialty of the house. 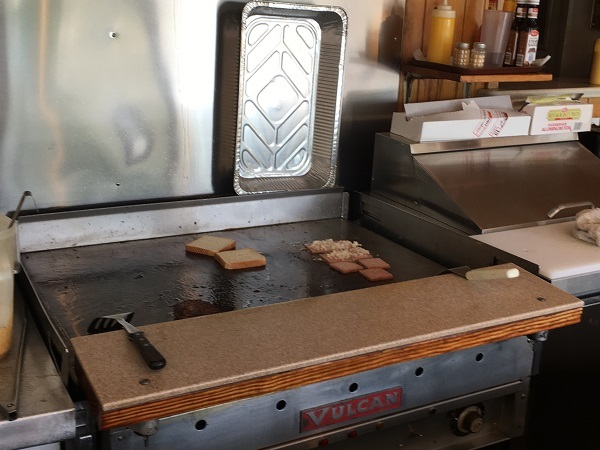 In the photo above, you can see an aluminum baking tray which they place over the sliders to steam them properly on the flattop. They are delicious little treats. I had two with a tenderloin sandwich, which wasn’t bad, but I’d have done better to have four sliders! Our son had three, and Marie had a patty melt that she really enjoyed. Neither of the women who were working that afternoon knew many details about the restaurant’s history. I knew that the sign was new, because I’d looked it up on Google. The map truck hadn’t been through Pikeville in a long time; ten years ago, it had the same sign as the store in Powell. They could tell me that the restaurant had been around since the seventies, but no more than that. But they did share the surprise that there was yet another Scottie’s around. This one, though, isn’t a survivor of the old chain, but a new location opened by the owners of the Etowah Scottie’s. It’s on Dayton Pike in Soddy-Daisy and it opened less than a year ago. As for the Pikeville location, while it was never completely full while we were there, every guest recognized one of their fellow diners, and everybody seemed to be enjoying themselves hugely. The employees were a little busy with a pair of great big phone orders, but gave us and everybody else all the attention we needed. It’s a great little place and absolutely worth a visit if you’re in the area. Just bring cash; they don’t take plastic here! Posted on June 11, 2018 by Grant G.Posted in burgers, tennesseeTagged burgers, diners, pikeville, tennessee.